Happy April! I have no fun April Fools prank to top DramaFever’s announcement that subtitles are going buh bye in favor of emoji…which took me awhile to wrap my head around since emoji isn’t a term I use often enough…but the picture was pretty self explanatory. While that would be interesting and you’d get the general idea…that would have driven me up the wall. Anyways, it’s time to say goodbye to Activity’s album. It’s been a month and a new album recommendation is coming to take its place. Have I stopped loving their mini album? Not at all. It’s still the last thing I listen to when I go to bed and the first thing I listen to when I wake up (I am being completely honest about that). Again, I highly recommend checking this indie band out and buying their album. You can listen to the samples on their official post for March’s AotM. Back to April’s Album of the Month. It’s a favorite of mine from another indie band that I love. In fact, this album of the month that I’ve recently been re-listening to and loving ties into tomorrow’s regular feature of The Forgotten. No, it’s not about forgetting this album or this band at all. So what is this month’s featured album? 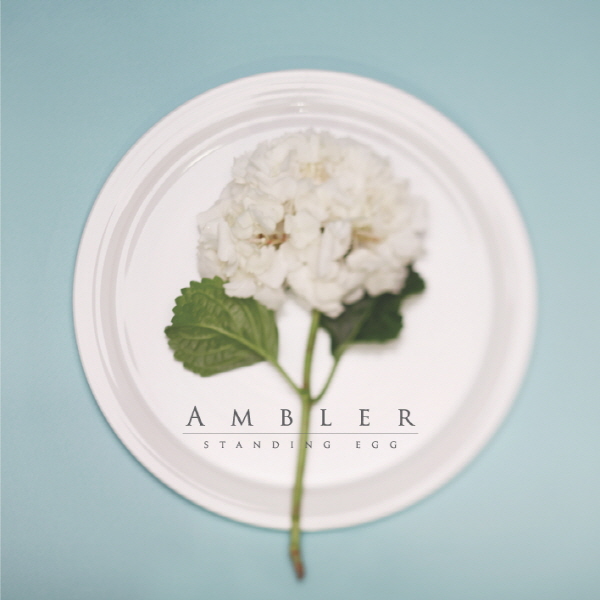 Standing Egg’s Ambler. I can’t tell you just how often I have listened to this album…it’s quite a lot. There’s something about Standing Egg in general as their music always puts me in a good mood. A fun fact about Ambler? It’s listed as a mini album but contains 10 tracks! Albeit, 5 of the tracks are just the instrumental versions of the 5 songs on the album. One reason I love this album is I really do enjoy acoustic music. I am not a huge fan of instrumentals, but I find myself loving the instrumental versions as much as the full versions of the songs. The vocals…are really suited for acoustic. Very smooth and pleasing. I also enjoy the fact that when they use English, it’s clear, concise, and makes sense!!! Extra brownie points for that. You know…re-listening to this album, it’s really suitable for spring. Especially if you look at the lyrics of the first song on the album. The first track is a fun little tune. Just something about the arrangement of the song smacks cheerful and addictive to me. Plus, I’m a sucker for the whistling at the beginning. This track has hints of R&B in its opening. It’s a beautiful and plaintive ballad about a person discovering how much they love a person only after they have hurt them and lost them. Now they wait for that person only they won’t be coming back. This track, like “Miss Flower” has a more fun tune and the lyrics…talk about a love odd to Lemon Pie. This makes me hungry for it every time I hear the time. Whether they are being literal or figurative in the lemon pie reference, who knows? But…I totally understand the happiness of lemon pie…tart and sour and sweet and topped with that fluffy sugariness of meringue…yum. Another more ballad-like song. This one expresses the guilt and silliness of a couple. One is upset that they can do so little for the other and feels even more guilt when a simple letter (the only thing they can do) brings tears. Obviously they don’t understand how touching words can be. The previous “ballads” all had a slightly faster pace than this song. For some reason, this song really stands out as even more plaintive. It speaks of rushing forward with life to try to forget someone, but they ultimately can’t. Thoughts of that person come back and haunt them to the point they won’t be able to sleep. These lines are punctuated by the phrase “do you know?” Such a lovely and sad song. Gosh! I love the entire album! Love love love! Tracks #2 and #3 are my personal favorite! Who couldn’t resist a slice of lemon pie now???? I’m so buying this album now! LOL, I think we have very similar tastes! I think those two tracks are like my favorites as well! It’s an awesome album over all. They are amazing. I’m really curious as to who the three eggs are behind the scenes, but the artists they have in the live band and playing on their albums are just wonderful. You mean you don’t know how they look like? I didn’t get to research on them yesterday but I will do it today. They are awesome. Everything about them is so perfect. I couldn’t stop listening to them. Perfect album.